The word ketosis often inspires confusion or even alarm in those trying to figure out what causes it and whether or not it's a good thing. Here's a simplified overview of ketosis. Let's move from an over-simplified ketosis definition to moderately simple one. Ketosis means that the body has gone from using carbohydrates as its source of fuel to fats-almost exclusively. But it's a little more involved than that. Ketosis starts when there aren't enough carbohydrates in the blood stream to refill glycogen stores in your liver. What is glycogen? The liver makes glycogen from carbohydrates as a kind of quick food source for the body. A lack of carbohydrates means the body needs an alternate food source. So the body uses fat, specifically fatty acids, instead. The liver breaks down fats into ketone bodies, commonly referred to as ketones. When the liver releases these ketone bodies into the bloodstream for the body to use as energy, this is ketosis. When you eat carbohydrates, the body uses them for fuel and converts the rest into fat using insulin. This means that carbohydrates aren't really stored in the body except for those stored in the liver as glycogen. If you use up all the carbohydrates in your blood stream and don't replenish them, your body will eventually have to use fat that you are ingesting with your food and fat stored in the body for fuel instead. It usually takes about 48 hours to induce ketosis. A growing number of diets are recommending lowering carbohydrate intake, since the modern diet has so many more than what is necessary to fuel the body. Things like bread, pasta, sugar, soda, sweets and other grain or sugar-based foods are very high in carbohydrates, and are consumed more frequently and in greater amounts now than they ever were before. The Atkins diet and the South Beach diet both rely on kicking the dieter's body into a state of ketosis to begin the process of rapid fat-loss, since the body must use fat for energy during ketosis. Dieters on other low-carbohydrate diets such as the Paleo diet (also called the primal or caveman diet) may also dip into and out of ketosis depending on their daily dietary choices, though inducing ketosis is not the primary goal of these diets. This topic is much debated, but the truly dangerous condition related to ketosis is actually ketoacidosis. The body doesn't naturally go into ketoacidosis-insulin prevents this. But in those with Type I diabetes, the body doesn't produce insulin, and so a lack of glucose in the blood can lead to ketoacidosis. 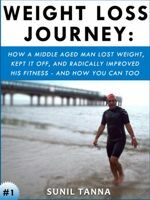 Abel James is an author, fat loss coach, musician, and paleo diet and primal lifestyle blogger and podcaster. A former strategic advisor to the food and beverage industry, Abel now acts as a consumer advocate who exposes the truth behind deceptive marketing practices, misleading corporate propaganda, and powerful special interests that have accelerated the worldwide obesity epidemic and health crisis. Abel harnesses the techniques he developed for the Paleo-based LeanBody System to achieve extremely compelling results in fat loss and health for his clients and the community.